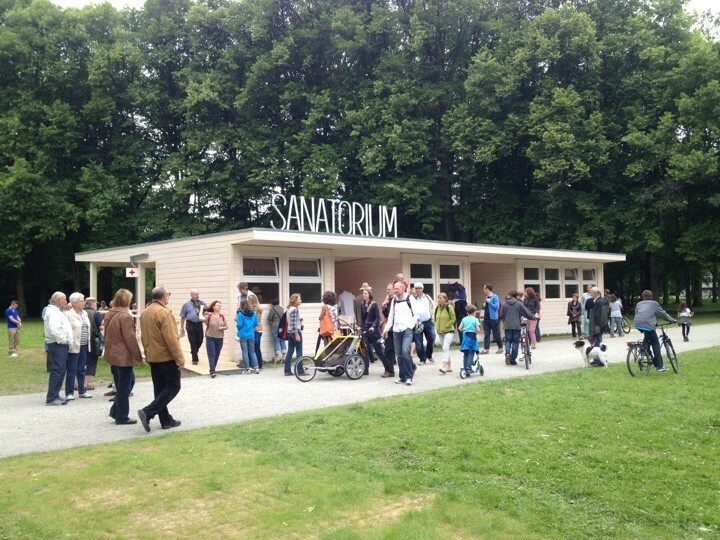 During the 100 day exhibition, SANATORIUM, located at Baroque Karlsaue Park, will be featured among 100’s of artists at this years dOCUMENTA(13). The Sanatorium is a transient clinic that provides short unexpected treatments that mix art and psychology. In order to experience this project you have to sign up as a patient and participate in sessions which may be individual or in groups. The receptionist will ask you some questions. Please feel free to tell them if there is any particular situation in this present time that you would like to address, and we will try to assign a therapy according to your needs. Where do these therapies come from? Each therapy has a documented genealogy. They are mixtures and variations of existing techniques such as Gestalt psychology, theater warm-up exercises, fluxus events, conflict resolution techniques, shamanism, corporate coaching, yoga, psychodrama, hypnosis, etc. There are several ways therapy can help you. Perhaps you have an important decision to make, a past trauma to overcome, future plans to make, you may be looking for clarity, or to release anger, or reconcile with someone, etc. If nothing else, we expect you to have an interesting time. What if I don’t have a problem? Our approach to therapy is not necessarily problem-centered. Therapies can also be an extensional device1 to enhance your present state. These activities may help you to find something akin to the sweet spot2 on a bat or racket, the point at which it makes most effective contact with the ball. Will I see any significant change? These therapies have a humble goal; they may be a mild remedy to mild afflictions, similar to a psychological first-aid kit. In the Sanatorium the raw material is your own personal narrative. You will play a part in a session with a therapist and possibly random strangers. In general, the Sanatorium is a happy place that has a plethora of insights. Not only may you make meaningful discoveries about your own life, but you can help others. Something you say may bring unexpected awareness to another person. How is a therapy session structured? Each therapy has a performative aspect similar to a ritual: there is an introduction, a development, and a closure. It should last less than half an hour in total. Are there spiritual, religious, or shamanic elements in the Sanatorium? Some therapies make reference to spiritual, religious, or shamanic sources. Throughout history meditation and rituals have served to modify our psychodynamics and reconcile interpersonal space. However, these benefits remain out of reach for those who don’t subscribe to these particular belief systems or cultural frameworks. The Sanatorium is interested in finding the essence of a ritual so that it can function outside its anthropological specificity. 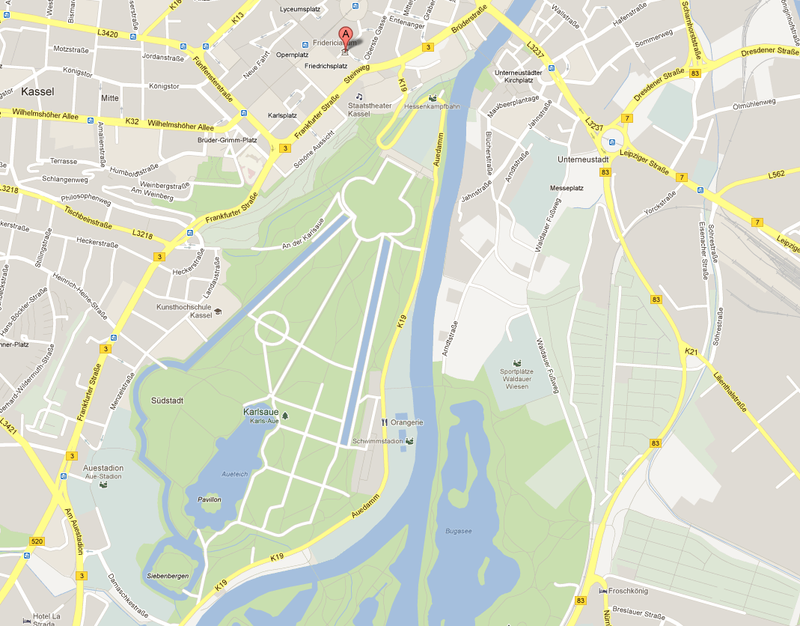 The idea is to strip the procedure of its aura and make it accessible in a secular environment. Who can be a therapist? grounds, incomes and belief systems. 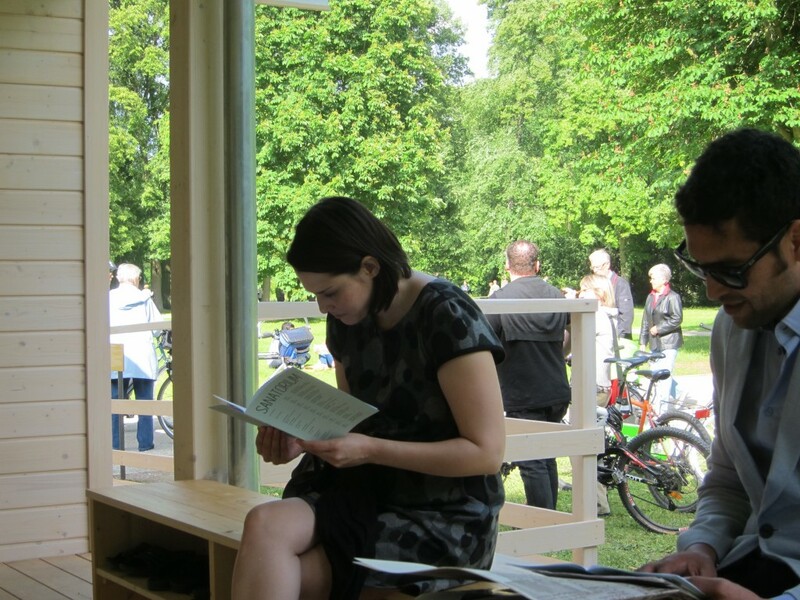 The Sanatorium’s goal is not only to offer relief, but also to create a space where people can also help and be useful to others. Helping has a therapeutic effect in itself. Is this real therapy or is it quackery? The Sanatorium was conceived as a delivery system of placebos, therapies that put into action self-suggestion mechanisms. In this sense, it is similar to quackery but with a fundamental difference: in quackery the patient is led to believe a lie, while in the Sanatorium you are told upfront that this is not real, and it is up to you to believe. In practice, when you enter the Sanatorium you sign a paper acknowledging that this is not a real hospital, and these are not real therapists. Paradoxically, the mind loves cognitive dissonance, that is to say, being aware that you are telling yourself a lie won’t necessarily prevent you from believing in it. The hypnotic adoption of an idea that one has created for oneself can be an effective way to initiate behavioral change. 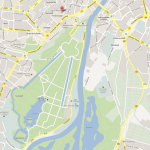 How many therapies exist in the Sanatorium? Up to date there have been 16 therapies that have been tested. 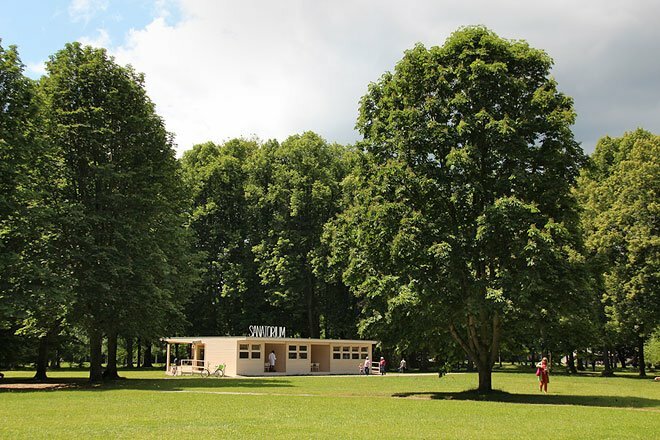 In dOCUMENTA (13) Sanatorium is featuring 8 basic therapies and more therapies will be developed in collaboration with the participants from HEAD (Haute école d’art de et design Genève) over its 100 days of operation. Therapy as we know it today is a luxury beyond reach for most of society, and in response for our present psychological afflictions there has been an excessive reliance on antidepressants and other prescription drugs. Today, some of our biggest health challenges are iatrogenic, meaning that these very challenges stem from a previous therapy prescribed by a physician. In the U.S. the number of prescription drug-related deaths rose from 6,000 in 1990 to 27,658 in 2007. Each year at least 106,000 people die from the drugs they’re prescribed and administered, while illegal drugs result in around 10% as many deaths. As things stand, prescription drugs are legal and consumption is culturally accepted. Obviously, these drugs are in many cases truly necessary and there would be much suffering without them. That said, studies show that cases of unnecessary prescriptions outnumber the necessary, resulting in an ever-larger number of addicts, much for the profit of big pharmaceutical labs. Sociatry is a term to describe the science and art of healing society. This notion was first articulated by Jacob Levi Moreno in 1930. At that time it gained currency and then around 1950 fell into oblivion. Today, especially in cities, there is a vast population of unattended victims of depression, loneliness, neurosis, family violence, suicide, and other pathologies. Social Psychology has instruments of diagnosis, but it falls short in the creation of cost-effective methods that can be implemented to the world’s ever-increasing population. Working structures similar to the Sanatorium could be a means to regaining agency within the original intentions of Sociatry. Will there be more Sanatoriums? Looking for alternative methods other than drugs to restore sanity in society, the Sanatorium thinks of itself as a prototype that could evolve into a “Social Franchise”, which beyond the pure drive for profit could result in large-scale social good. 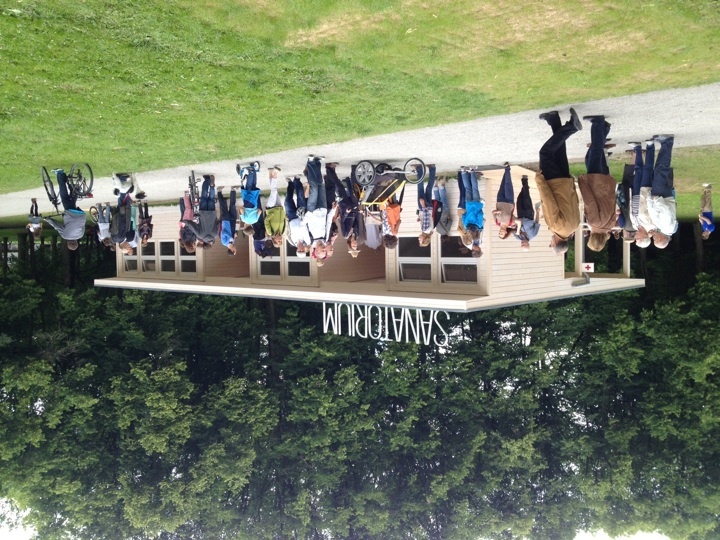 As accessibility is crucial, the Sanatorium hopes to depart from the sphere of art into the wider arena of culture, almost as a roadside attraction and deemed entertainment for families, friends, school groups, etc.